The Bentley Flying Spur V8 S, a car that represents the meeting point between the Flying Spur V8 and the flagship model of the family, W12, account with improvements in the power of its engine to increase performance and incorporates a revised suspension able to offer an experience on the most accurate and effective asphalt. The famous 4-litre V8 S engine and Bentley’s twin turbo-compressor integrates progress in its power, with which manages to develop 528 hp, i.e. additional 21 compared to its brother V8 507 hp. A massive 680 Nm untie from 1,700 rpm. As a result, the Flying Spur V8 S is able to go from 0 to 100 km/h in 4.9 seconds, thus reducing 0.3 seconds when it was a time of breathtaking acceleration of the V8. Its maximum speed is 306 km/h. 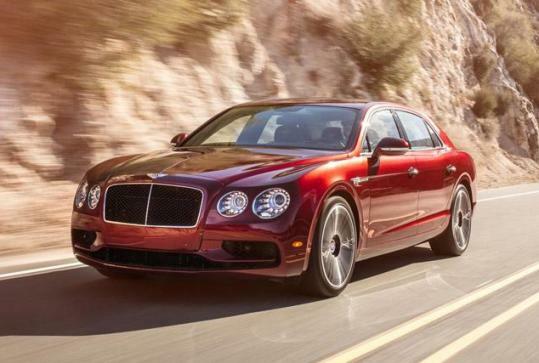 In addition, the Flying Spur V8 S incorporates a new and improved suspension with highly responsive, which improves both manageability and control over the body. In addition, careful recalibration performed in the system of continuous damping control (CDC) provided minimum degradation of the comfort on board, despite improvements in manageability benefits. On the other hand, the Flying Spur V8 S has a number of sporty details that foreshadow new and enhanced capabilities that sports also await inside. Both black radiator grille and rear diffuser and insertion grid will give this new model a more decisive and dramatic appearance in keeping with its enhanced performance. In addition, Bentley has created a spacious and luxurious interior where the advanced technology of its electronics and acoustics is surrounded by leather and wood veneers prepared by handcrafted with great taste and still available with Wi-Fi access point to provide connectivity along the routes.